The popularity of cartoon music, from Carl Stalling’s work for Warner Bros. to Disney sound tracks and The Simpsons’ song parodies, has never been greater. 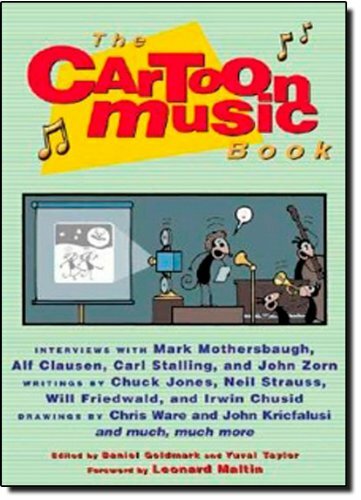 This lively and fascinating look at cartoon music’s past and present collects contributions from well-known music critics and cartoonists, and interviews with the principal cartoon composers. Here Mark Mothersbaugh talks about his music for Rugrats, Alf Clausen about composing for The Simpsons, Carl Stalling about his work for Walt Disney and Warner Bros., Irwin Chusid about Raymond Scott’s work, Will Friedwald about Casper the Friendly Ghost, Richard Stone about his music for Animaniacs, Joseph Lanza about Ren and Stimpy, and much, much more.